Their new landlords had also lived in Germany, near where Kelley had grown up. Their kids had even gone to the same school that she attended there. That kind of affirming relationship between tenants and landlords “is not how it often goes,” Kelley said, something she’d learned in her years as a housing attorney hearing about and seeing broken plumbing, pest infestations, mold and mildew, water leaks and many other problems that can happen in a New York City apartment. Alison Yoder Kelley completed a two-year clerkship with the Department of Justice in New York City’s immigrant court before moving into her current position. 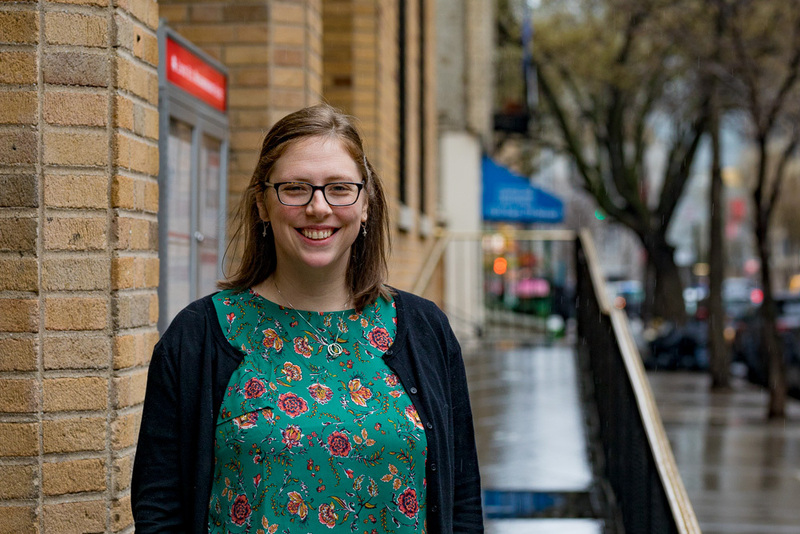 Kelley works for Lenox Hill Neighborhood House, a 124-year-old nonprofit on the east side of Manhattan that provides an extensive array of services, including legal advice. The organization is funded by city, state and federal government agencies and private donors. She manages a load of approximately 30 cases, helping tenants challenge their eviction notices by negotiating in and out of court with landlords’ attorneys. There is no shortage of work. A plan announced in February 2017 by Mayor Bill de Blasio provides low-income tenants facing eviction with free legal counsel and representation. The first law of its kind in the nation, “right to counsel” services will be phased in by zip code over the next five years. The program has been a game-changer. In the past, landlords were represented by attorneys in housing court, while tenants had no representation or represented themselves, which usually meant that the landlord won the argument, Kelley said. But now, with representation, tenants have a fighting chance in the court system — a new dynamic that many landlords’ attorneys don’t appreciate even though dealing with an attorney might be more comfortable than working with a tenant. After all, attorneys who know the rights of their clients and can advocate on their behalf can lengthen and complicate the process. 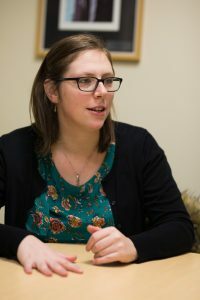 As a social work student at EMU, Kelley interned with Blue Ridge Legal Services, which piqued her interest in legal issues: “Social work and law really go hand in hand,” she said. Read more about New York City-based alumni in the current issue of Crossroads magazine. After graduating from EMU, she returned to Germany to work with asylum seekers for two years, followed by two years as a paralegal with a law firm in Washington D.C. Then she decided to go to law school, and completed her JD degree at University of Maryland Law School in Baltimore. Her current position integrates collaboration – “my co-workers are one of the best parts of this job,” she says – and skill development. Comfortable with legal writing, Kelley wanted more negotiation and litigation experience. It all makes her more grateful for the stability of her own life. Her husband is the director of special education at a public charter school, and they have an eight-month-old daughter. This article was first published in the Spring/Summer 2018 Crossroads. Read more articles here.